On October 3rd, Carolyn Evans spoke at the annual ‘Protecting Human Rights’ conference about the Charter litigation to date and pointed out Victorian judges’ and tribunal members’ troubling inability to get a simple date right when reading Charter s. 49(2), a matter that this blog has given a lot of attention. The day before, the Charter’s appalling transitional provision was being debated in the Supreme Court, in a hearing enhanced by the Attorney-General’s intervention. And, just one week later, another misreading for Evans’s list, in Devine & Legg v VCAT  VSC 410. The Charter has no direct application in this case. The VCAT proceeding was commenced and concluded prior to the operative commencement date of Division 3 of Part 3 of the Charter. This proposition is not contested by the plaintiffs. The plaintiffs now rely on the decisions of Tomasevic v Travaglini and DPP v TY (No.3) as authority for the propositions that the rights in the Charter “apply in substance” prior to the Charter’s commencement date by “operation of international law on Victorian law directly”. Whilst the Attorney General contends that this is an over-simplification of the principles expressed by Bell J in Tomasevic, the Attorney General accepts that the body of international covenants from which the relevant rights in the Charter are drawn may be used as an interpretive aid and, in appropriate cases, as a relevant consideration in the exercise of judicial powers and discretions. Further, there is no issue between the parties that the common law has long recognised a right to a fair trial. This is, for what it’s worth, a new wrinkle in the sad history of misreadings of Charter s. 49(2): instead of simply wrongly assuming that Part 2 commenced the same time as Divisions 3 and 4 of Part 3, Beach just replaces the words ‘Part 2′ with “Division 3 of Part 3’. The result is the same: the reach of the Charter’s appalling transitional provision for proceedings is extended by a year. 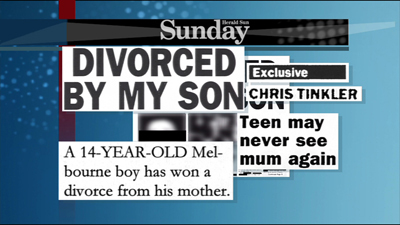 It’s true that, unfortunately, Devine & Legg (or, more precisely, Victoria Legal Aid) apparently joined in the error. But why on earth didn’t Beach listen to the Attorney-General, who intervened as of right in the proceedings under Charter s. 35 just so the Supreme Court wouldn’t be misled by bad lawyering? A development I have long feared has come to pass: a guilty verdict in a Victorian criminal case has been upheld despite a Charter argument that might have led to an acquittal. This year, most criminal cases where the Charter has been considered have been interlocutory or collateral matters: bail, DNA sampling, proceeds of crime, trial process, etc. The one exception was DPP v Zierk  VSC 184, where the Charter was held not to apply (and Warren CJ, of course, made it clear that she’d blow it off anyway even if it had) but the defendant was nevertheless acquitted on ordinary statutory interpretation grounds. (c) except with the permission of the Secretary granted in special circumstances in relation to a child who is the subject of a custody to Secretary order or a guardianship to Secretary order, any matter that contains any particulars likely to lead to the identification of a child as being the subject of an order made by the Court. (a) In the case of a body corporate – 500 penalty units. Crucially, the various reports gave the child’s name and showed his photo, so it might seem a no-brainer that they breached s26. However, the Court of Appeal expressly ruled that s26(1)(a), at least, was ambiguous in one very relevant respect: does the ban only cover reports that identify the proceedings as Children’s (or related) Court proceedings, or does it extend to the situation here, where the reports only mentioned the outcome of the process and either didn’t mention the Children’s Court or buried it in a reference to ‘the authorities’.? The defendants pointed to numerous decisions elsewhere in Australia and overseas that read similar (but not identical) provisions narrowly, e.g. confining them to narrative accounts of proceedings or to photos while a proceeding was ongoing or to revelations that would have been understood by an ordinary member of the public. In each case, a narrower reading could arguably have meant that the various reports weren’t in breach of the section and, therefore, that the guilty verdicts were wrong. 24(3) All judgments or decisions made by a court or tribunal in a criminal or civil proceeding must be made public unless the best interests of a child otherwise requires or a law other than this Charter otherwise permits. However, the defendants drew on powerful arguments from the case-law to the effect that a narrow reading of s26 is the appropriate way to strike the balance. Notably, in Clayton v Clayton  EWCA Civ 878, the UK Court of Appeal gave a narrow reading to a provision that was similar to s26(1)(b) (confining it to ongoing procedures), on three grounds. First, that a decision by the relevant court on a case-by-case basis (available under inherent jurisdiction) was preferable to a blanket decision. (Victoria’s Children’s Court has the power to suppress individual proceedings, whether or not s26 applies, derived from the powers of the Magistrates Court.) Second, that a blanket, open-ended and ambiguous ban would fail the ‘lawful restriction’ test for limits on human rights, while a specific ban issued by the court in question would make it clear to everyone what publications were permitted. Third, that the penal context – note that s26 carries a potential prison sentence – meant that ambiguities should be resolved in favour of a narrower reading of a criminal provision. These concerns are all familiar parts of human rights law that are routinely applied to resolve difficult conflicts between competing rights and interests and, indeed, the UK case was expressly concerned with the balance between free speech and children’s privacy rights. 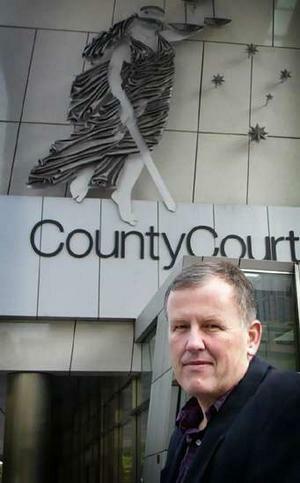 Clayton can be distinguished on the basis that the Court of Appeal was required to interpret the legislation consistently with the European Convention… In the instant case, it was not contended in oral submissions that the Charter of Human Rights and Responsibilities Act 2006 should be applied in interpreting s 26(1), so the same considerations do not apply. [A]lthough this comment is unlikely to influence the framing of the Australian and US security requirements, I would have thought that the use of nationality-based measures to prevent unauthorised access to information or material is a blunt and imperfect instrument. Assessment of individuals on a non-stereotyped basis, or training and education about the importance of the obligation of secrecy, would seem to me to be a better approach. No kidding. But, just like every other decision that’s ever been made on this issue, McKenzie granted the exemption (albeit with more conditions than BAE wanted.) South Australia’s Equal Opportunity Tribunal granted BAE an exemption last year, so VCAT’s exemption saved 180 employees at BAE’s Abbotsford digs from having to move to Adelaide! Discrimination was obviously the lesser of two evils. Alas, McKenzie, in passing, engaged in some Charter analysis of unprecedented lousiness. As I previously noted, VCAT had granted a number of similar exemptions last year, accompanied by warnings that, next time, the Charter may change things, with the Charter’s interpretation mandate becoming operational at the start of this year. In the ACT, where a brand new interpretation mandate identical to the Charter’s kicked in on 18th March this year, its equivalent to VCAT has already considered whether its approach to exemptions was compatible with human rights. (It decided that it was.) But, amazingly, McKenzie held that the Charter’s interpretation mandate, which was in place for two-and-a-half months before the ACT’s, didn’t apply to BAE’s application! Apart from submissions by BAE, the only other submission received was a letter from the Commission noting that the Victorian Charter of Human Rights and Responsibilities (the Charter) did not apply to this proceeding and also that, if VCAT granted the exemption subject to conditions involving reporting to the Commission, the Commission would be willing to accept this role. On 24 December 2007 BAE applied to VCAT for exemption under s83 of the EO Act. The explanatory memorandum for the Bill which eventually became the Charter explains that s2 was intended as a staggered commencement provision, in order to allow government to review existing laws, policies and procedures for Charter compliance. Among other things, it says that s 49 provides that the Charter ‘does not apply to legal proceedings commenced before 1 January 2008’ and that the Charter ‘may not be relied on in proceedings commenced before that date’. It explains that s49(3) means that ‘the obligations upon public authorities in the Charter to do not apply to an act or decision made before 1 January 2008’. There is a difficulty with s49(2). It provides that the Charter does not apply to proceedings commenced or concluded before the commencement of Part 2. That part commenced on 1 January 2007, not 1 January 2008. But s2 directly provides that Division 3 of Part 3 (the division in which the obligation to interpret statutes in a rights-compatible way appears) commences on 1 January 2008.